This blog is for real people who want to throw a Harry Potter birthday party but don't want to lose their minds and mortgage their house to do it. 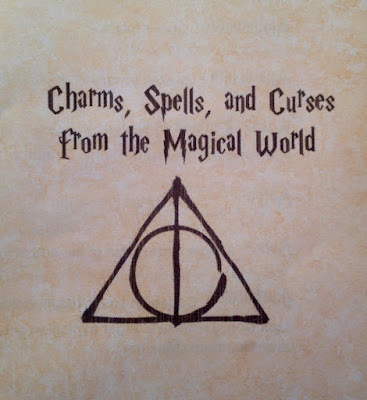 Our birthday girl wanted to give a book of "Charms, Spells, and Curses from the Magical World" as the party favor. 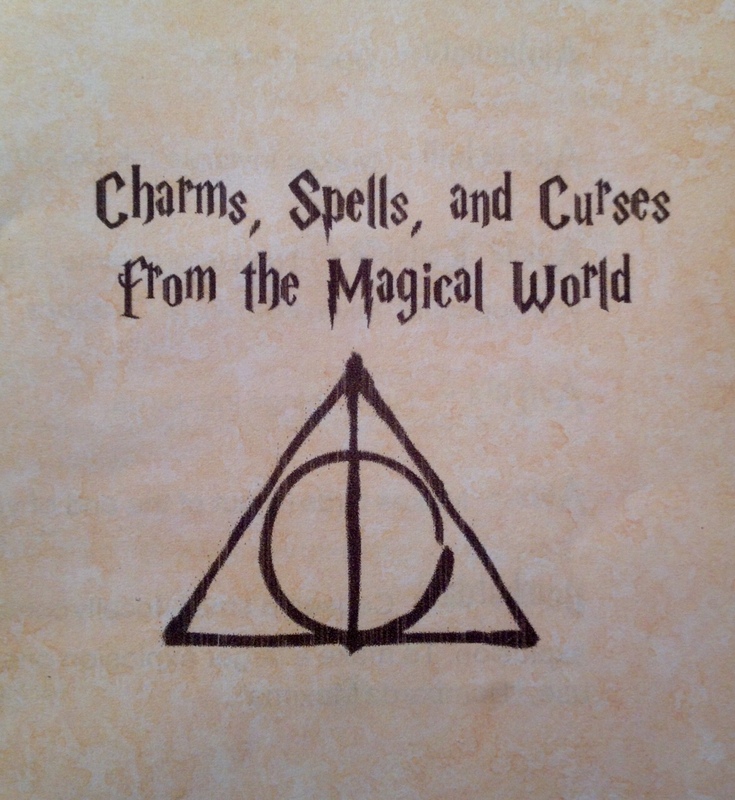 We used the leftover parchment paper from the invitations and found this super helpful download for the spell pages. To change the cover, I converted the PDF to MSWord and added the new cover title and image. We simplified and didn't do a separate hardcover or bookmark. We used this Harry Potter font generator, too.